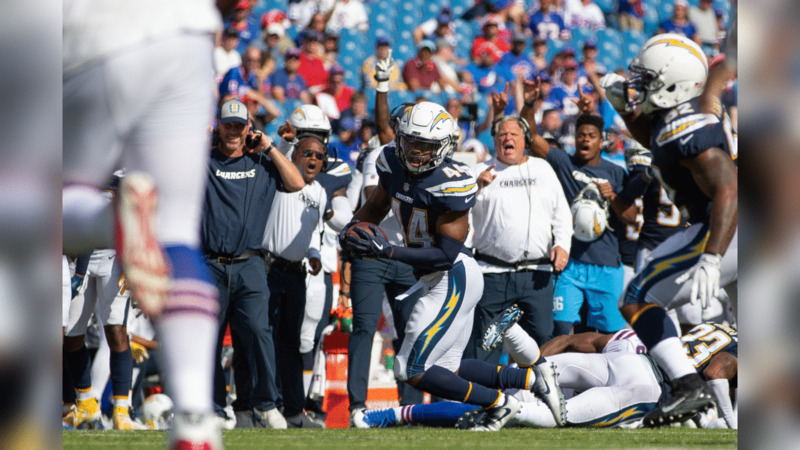 The Chargers 2018 season was a memorable one for not only the veterans, but the youngest players on the roster as well. After all, the team notched 12 regular season wins, authoring the best Chargers record since 2009. The Bolts also got their first taste of playoff football since 2013. The importance and gravity of playing in January was not lost on the team’s rookies. Instead, it was something they were appreciative of, knowing first-year players on only 12 teams get to experience postseason play each year. Ask rookies in the locker room, and they’ll tell you their first season didn’t come without adjustments. They’d always hear how different the pro game is from college, but experiencing it and living it daily made it real for them. Luckily though, they were able to rely on the veterans for guidance. As Facyson attested, those vets were key to his and all the rookies’ development. They were also key to the closeness and bond that permeated throughout the locker room. Despite the 2018 season ending, this group is ready for what’s to come in 2019. No longer being the least-experienced players on the roster, a couple passed along advice for the newest members who will arrive in spring to take to heart.